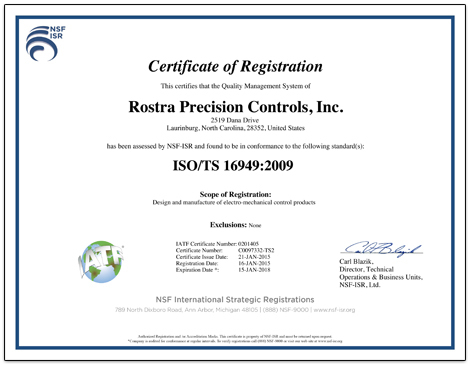 Rostra, an ISO 9001 and TS 16949 Certified company, in addition to supplying OEM components to some of the world's largest auto and truck component manufacturers, is also North America's single largest supplier of cruise controls products to the automotive aftermarket. We are currently pioneering the development and marketing of innovative automotive accessories. Backed by nearly 150 years of experience in precision manufacturing, we have earned our reputation as an ideal partner throughout the automotive industry. 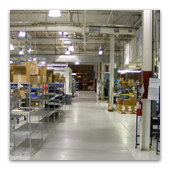 For years Rostra has been known throughout the automotive industry as a leader in the manufacture, as well as the development, of an extensive line of products. Today, as a result of years of experience and research, we are continuing to lead the way with the development of new, innovative solutions to meet the challenges of tomorrow. 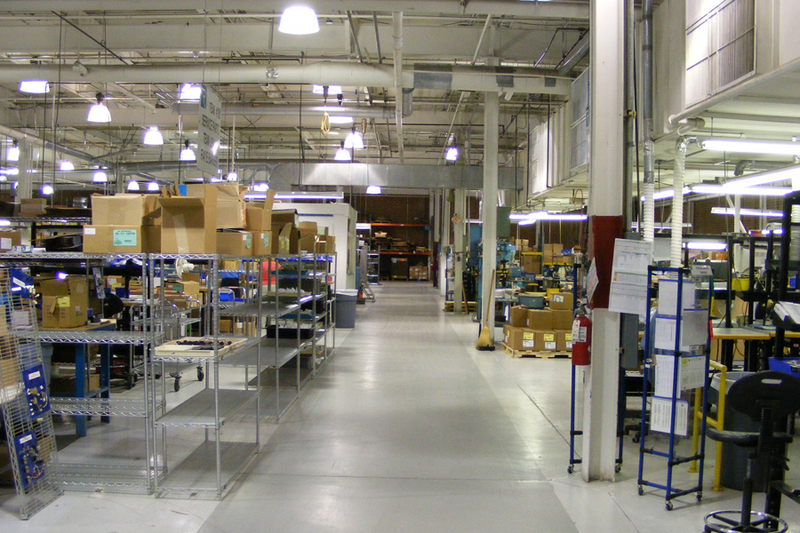 At our Newark, NJ facility, Rostra currently maintains a staff of over 100 employees between our manufacturing and business development teams. Our product validation facilities allow us to simulate extreme real-world conditions including tests for hot and cold temperatures, along with ingress protection (IP). 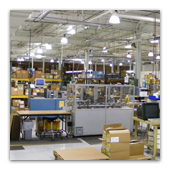 Our ability to scale production lines and add new products is largely due to our facility size. 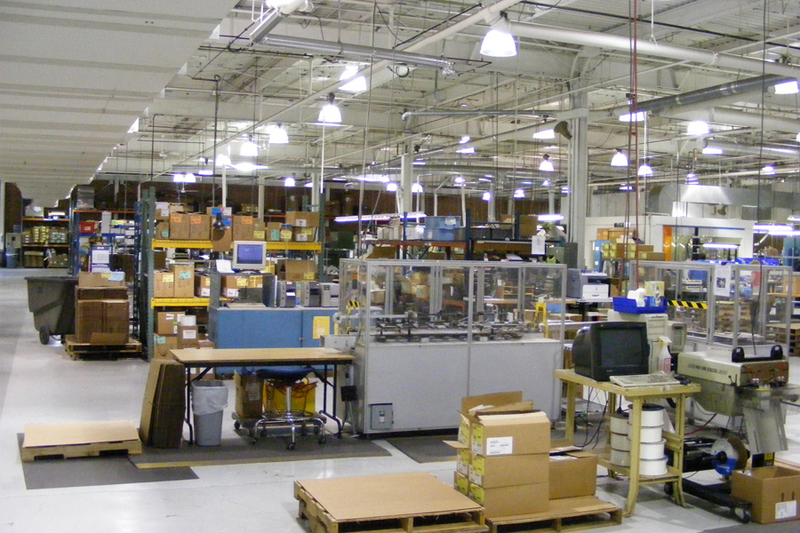 Our manufacturing plant measures over 80,000 square-feet. 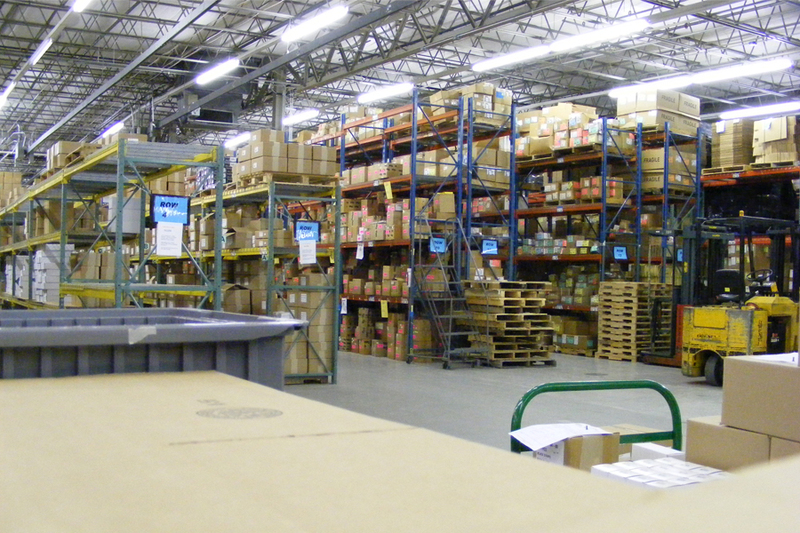 Our shipping and receiving department is available for shipments Monday-Friday from 9:00 AM until 4:00 PM. 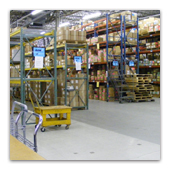 Six loading docks allow for easy loading and unloading. Maintaining on-site technical support means you get answers to complicated questions quickly and from technicians that helped develop the products you install. Rapid prototyping allows us to create new products per customer specifications at an incredibly fast pace with very little delay between product design and shipping. 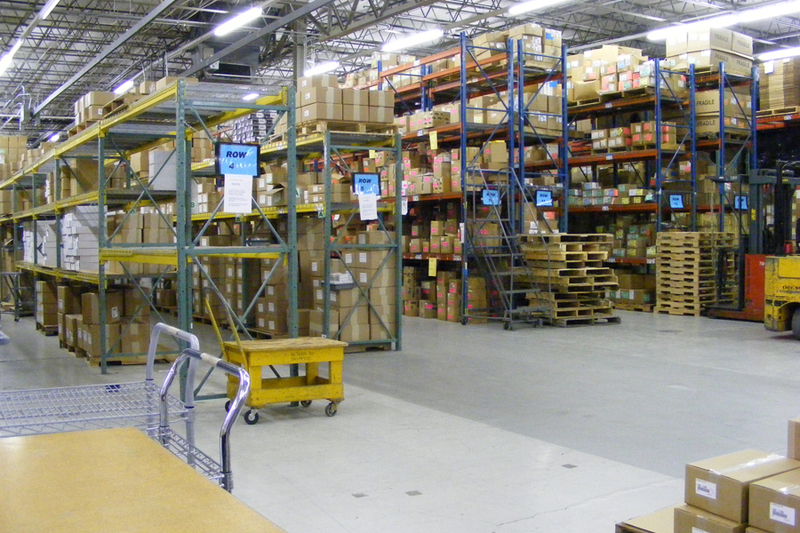 Universal and vehicle-specific aftermarket electronic cruise control systems. Vehicle rear obstacle sensing and parking assist systems. Universal backup camera systems with CCD and CMOS color cameras. 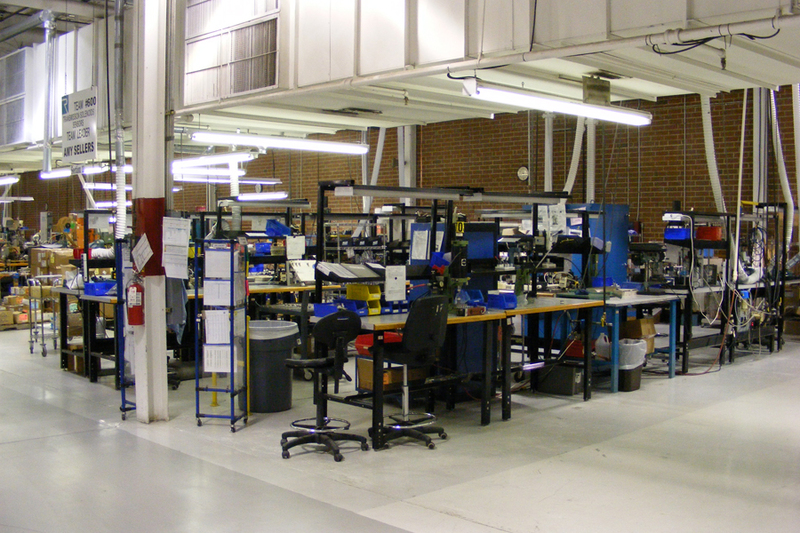 Our innovative Design and Engineering Department works with virtually all phases of the manufacturing process, right up through customer technical support. This hands-on approach allows us to respond to the changing demands of the marketplace. Our sophisticated Prototype Department has an expert staff, working with today's most advanced equipment. They can bring a product from concept into full reality in astonishingly little time. 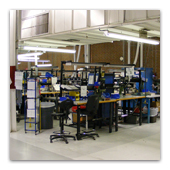 Our manufacturing facility is organized to ensure flexibility, versatility, and the ability to respond quickly to market changes. Based on the cell concept, our employees are trained in on-line SPC practices. All products are final tested for specification verification. In addition to supplying U.S. customers from our North Carolina plant, we currently export to: Australia, Belgium, Brazil, Canada, China, Denmark, Finland, France, Germany, Holland, Israel, Japan, Korea, Malaysia, Mexico, New Zealand, Norway, South Africa, Sweden, Switzerland, Turkey and the United Kingdom. For international sales inquiries, please click here. 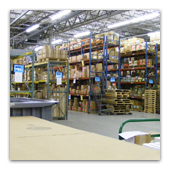 Rostra works to continuously improve our products and services in order to deliver defect-free product on time. 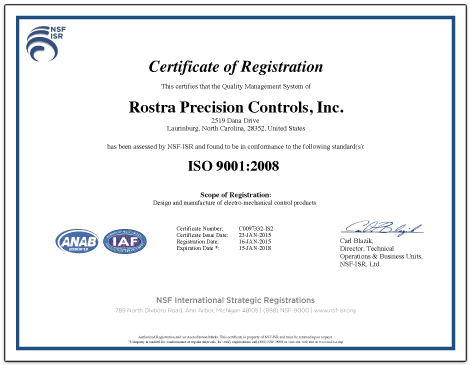 We are currently ISO 9001:2008 and TS16949:2009 certified. Thank you for taking the time to visit the web site of Rostra, a wholly owned subsidiary of Aftermarket Controls Corporation. For further information, contact us today.